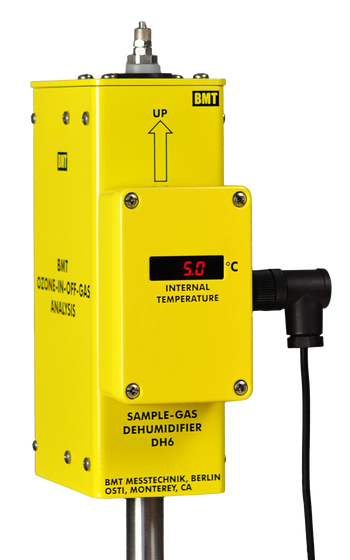 Sample gas dryer for removing water vapor (or other vapors) from a sample gas, e.g. before photometric measurement of its ozone content. It is fully compatible with our DH5, offering the same diameter at the input, and the same electrical connection – for easy replacement.